Today I am really excited to be able to share this incredible Lord of the rings Inspired Wedding Day. 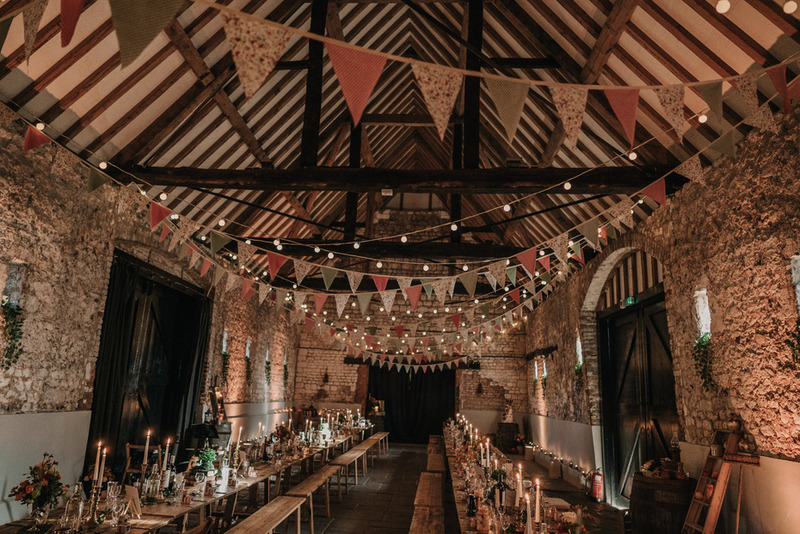 The romantic couple selected orange, red and green as their wedding colours to emulate the forest from 'The Lord of the Rings.' Lush hydrangeas, orchids and roses added a pop of colour in bright bouquets that continued the enchanting theme. 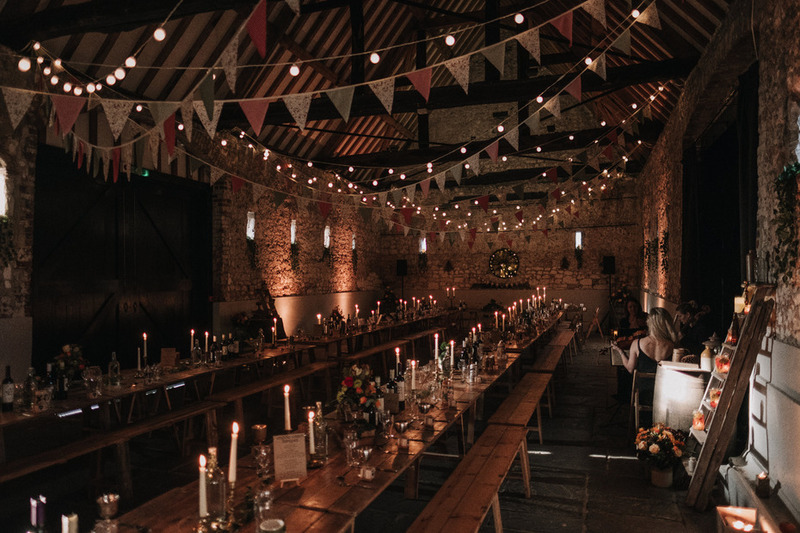 April and Oliver were married at the Monks Barn in Hurley. 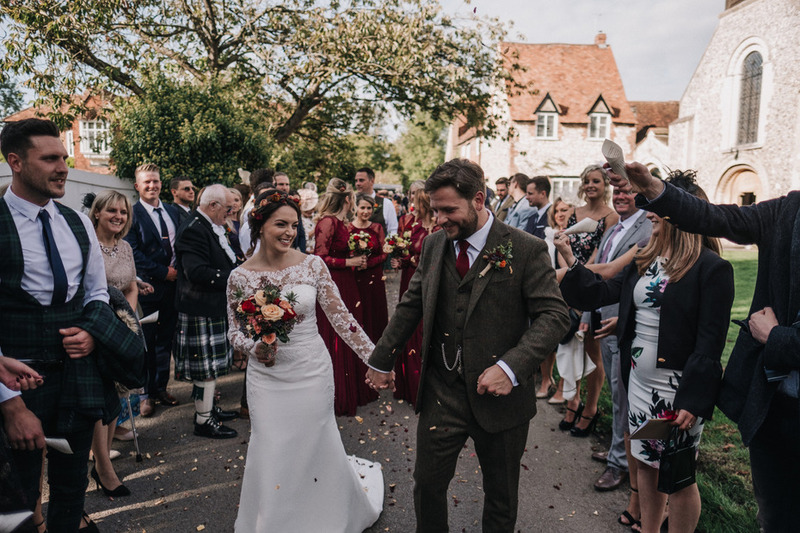 April wore a stunning ivory Diane Legrand dress and Oliver wore a brown tweed suit. Consistent with theme, they had Rustic flower arrangements wrapped in burlap lined the aisle and at the reception. 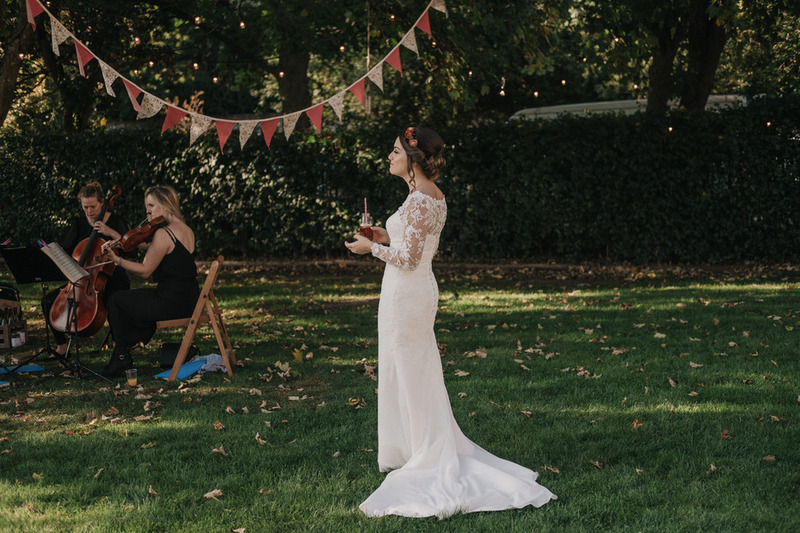 A lovely note from April: "I found my dream dress at Sophie Grace Thanks to Mo. 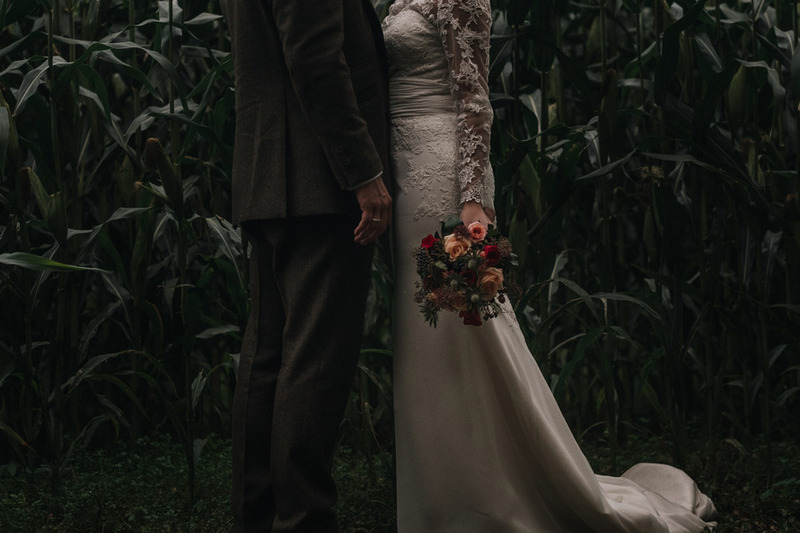 I visited multiple shops in one day and by far Sophie Grace’s was the best in the area with a welcoming and professional service that made me feel like I was their only bride. The two hour appointment was amazing to not feel pressured and the atmosphere with all the beautiful dresses and huge dressing room make the whole experience that bit more special. The whole team are fantastic and give a really personal experience. 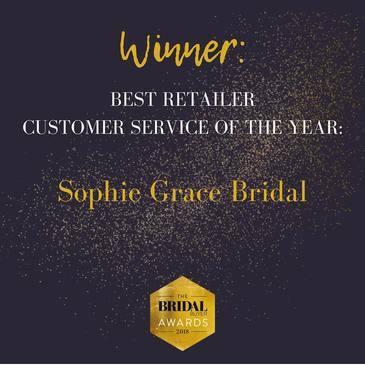 I highly recommend any bride to be to visit Sophie Grace as you not only fall in love with the dresses but also the team. I felt like a princess all day in my dress that I had to put it back on one more time in the morning. It’s now back with them to be cleaned and boxed. Again another great service they offer. 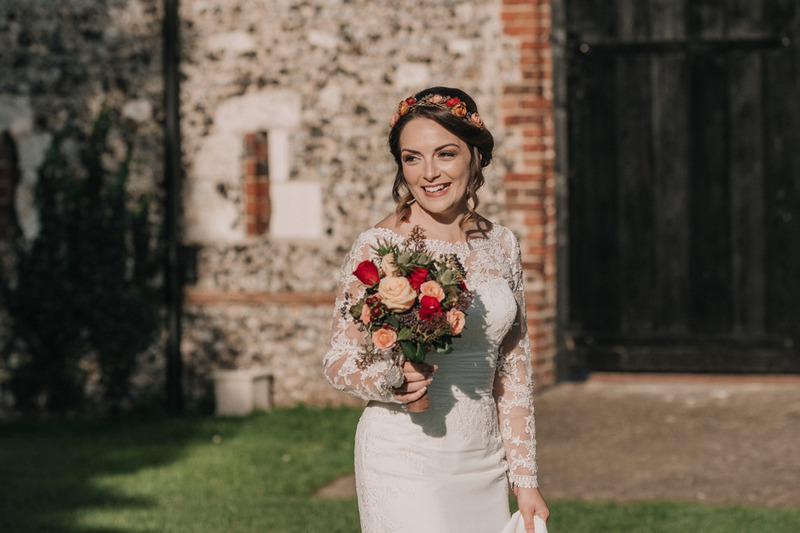 Not forgetting the incredible alterations I had done to the dress that is offered on site and each visit for fittings being just as special as the first time I tried the dress. 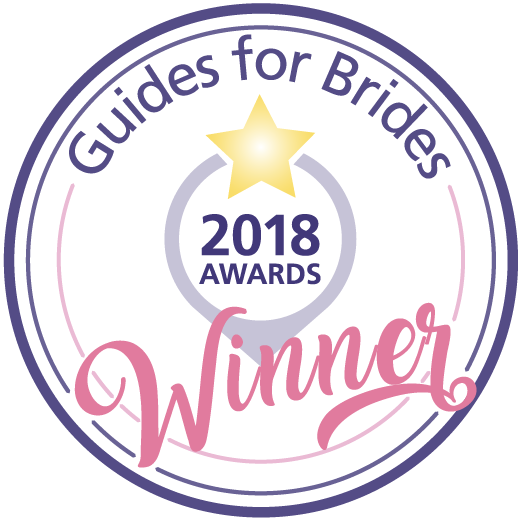 I can’t thank Mo & her team enough I will cherish every visit to Sophie Grace and will be recommending you to any brides to be. 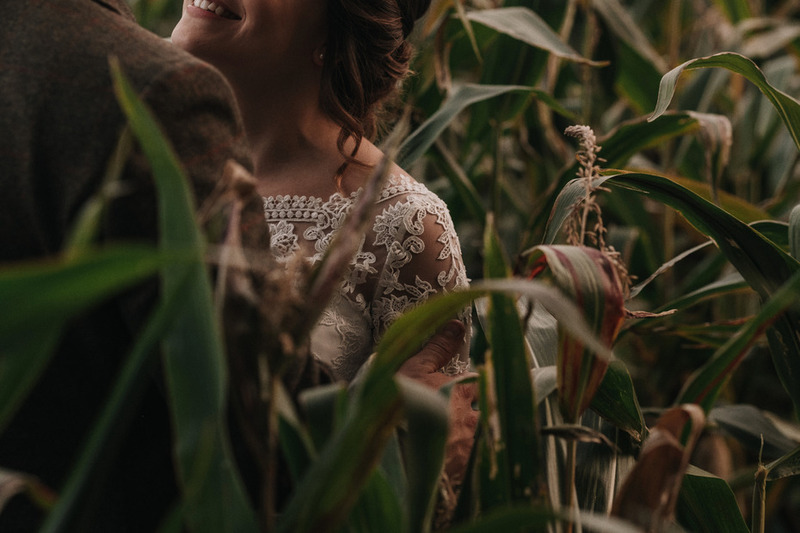 Thank you for your beautiful words.The moment we met you we knew we would have a lot of fun finding your perfect dress together. 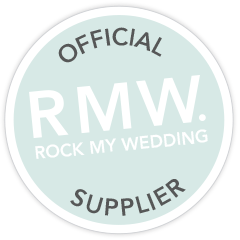 It was absolutely our pleasure to help in the process, and our privilege to have you wear one of our gowns on your special day. Wishing you both all the very best for your future together. 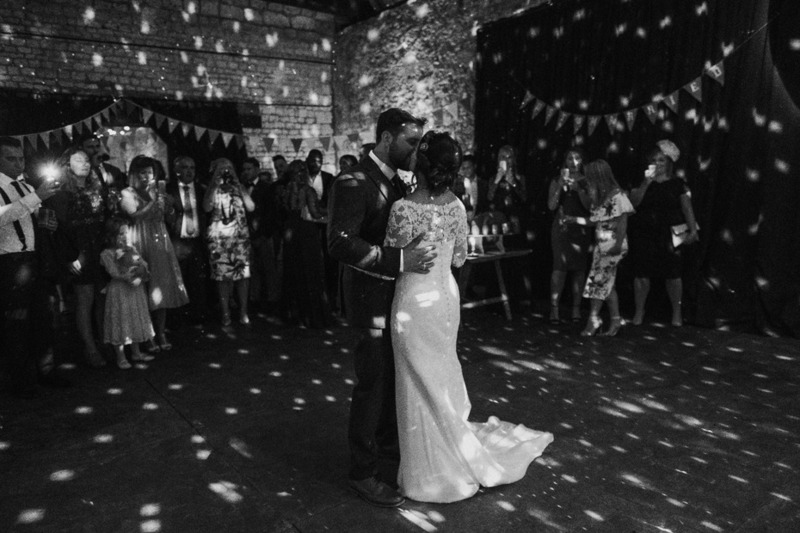 April and Oliver's precious evening was captured by Jason Mark Harris.